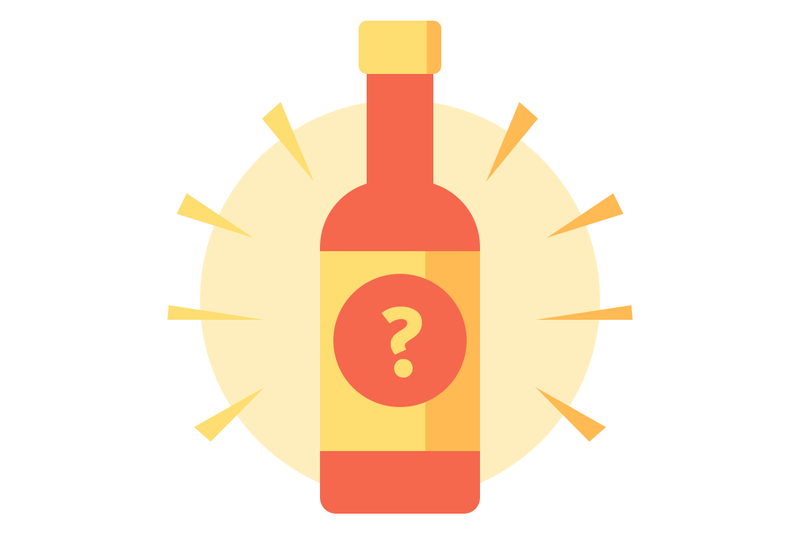 What’s it like to be part of the fastest growing food service segment in the world? “Busy,” says Steven Buckley, Chief Operating Officer at BurgerFi. The fast casual burger franchise has opened nearly 100 restaurants across the US in the past five years: “We are constantly challenged to be ‘best in class’ - our goal is to be the segment leader and nothing less.” Known for their signature “branded” hamburger buns and gourmet ingredients, the Florida-based company has been deliberately crafting a buzzworthy dining experience via its corporate brand and local franchise owners. Being a franchise business, BurgerFi’s goals and objectives need to be communicated and engaged at all levels of the company, from senior executives to store general managers. Moving information through departments and franchise locations is no small feat when there are over 300 individuals to connect cross-country. In order to achieve the growth results they were looking for, BurgerFi needed to unite all their team members around the same priorities. Presenting it to BurgerFi as a vehicle for collaboration and project management, Steven has seen Trello take on a life of its own in the company as members started to explore its capabilities for cross-departmental initiatives, like franchisee onboarding, marketing collateral management, and real estate development. BurgerFi’s mouthwatering marketing assets are ordered up on their Creative Requests board. Their company culture saw a positive shift towards accountability and ownership of projects. Individual efforts began to better align with the company’s top priorities. Communication across departments and with franchisees became simpler and easier to manage. And while everyone at BurgerFi has derived these same benefits from using Trello, each team has developed custom workflows to prioritize the goals that are key to company growth. 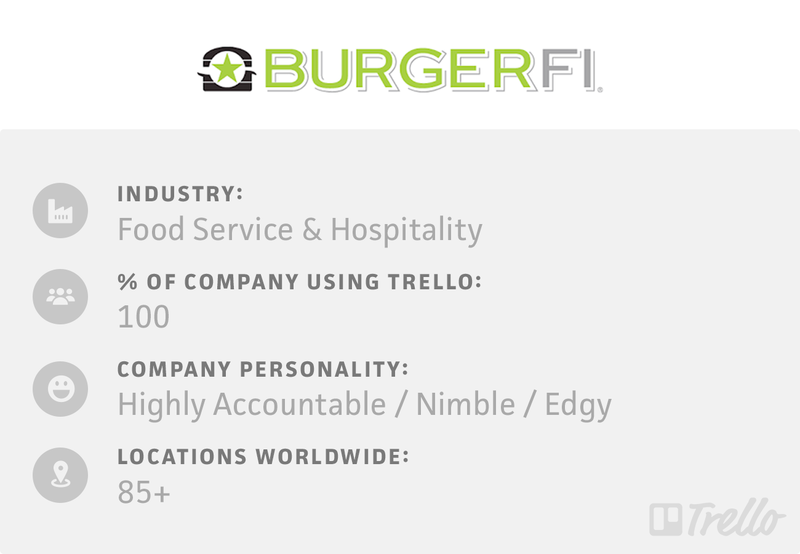 The workflow: BurgerFi’s company directory board is a top-level overview of each department and their corresponding Trello boards currently in use at the company. Board build tips: Lists organize each department by card, including team members and links to boards in use by that team. Employees can reference this board at any time to see high level status of teams and their top projects. The workflow: A set of franchise boards are provided to each new business owner to help them onboard with corporate goals as well as give them a full suite of management boards for operating their restaurant day-to-day. 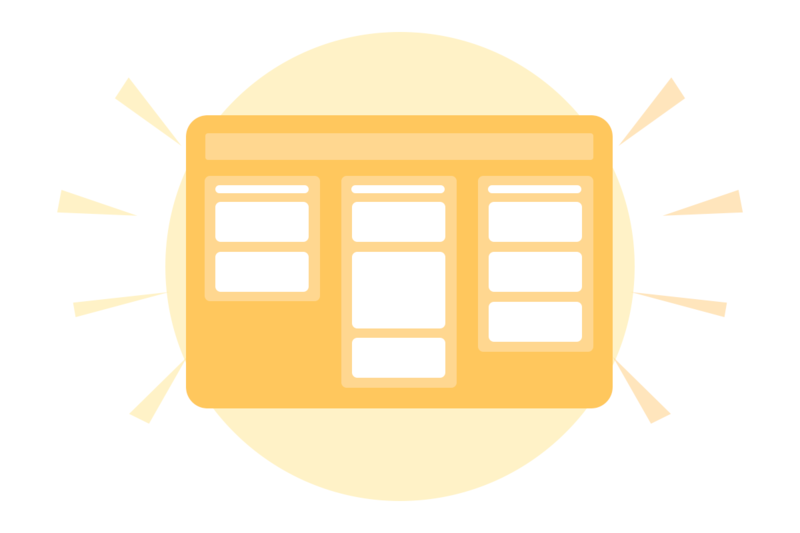 Board build tips: Keep sample versions of boards like ‘Store Logs,’ ‘Customer Complaints’ and ‘HR Management’ to make setup easy for new owners. The workflow: Steven uses a dedicated board as an agenda to run his weekly meetings. Lists and cards are organized by the various projects and top-level tasks they’re tracking across the company. Board build tips: Due dates are key for keeping commitments on track. Assigned team members are tagged in comments on project cards, and ownership comes from routine check-ins thanks to recurring weekly meetings. The workflow: BurgerFi’s real estate team manages the development of new restaurant locations via Trello. Boards are used to organize important documents like assessments, plans, contracts, and leases as well as guide site committee meetings. Board build tips: An integration with the real estate team’s construction software keeps processes streamlined. Site development documents are organized in an order that complements their site committee meeting process, so that they have all materials available for easy reference. The workflow: Customer feedback about the BurgerFi experience is collected and forwarded to a specific board for further analysis and action. Board build tips: Email-to-board is a helpful tool for the feedback process: any customer comments that come in via email are forwarded directly to the board. The CardCounter for Trello extension helps keep tabs on the number of submissions at each stage of response. Today, there isn’t a team member at BurgerFi who isn’t using Trello for some aspect of their work. While it has become a major vehicle for collaboration and project management, Steven notes that implementation took the better part of six months to get team workflows as optimized and efficient as they are now. In order to use Trello to its full potential, one of the most important steps they’ve taken is the creation of custom on-boarding videos to help train new users. In the video series, they cover the basics of using Trello as a tool, as well as how they use it specifically at BurgerFi. They also provide onboarding resources and sample boards to new franchise owners, so that they can literally run their entire operation with Trello, collaborating on things like store logs, health inspections and food safety, customer complaints (and compliments! ), corporate store visits and human resources—all with their corporate contacts easily accessible through the comments section on cards or via the team page. Steven says that if you walk around their headquarters, you’ll see Trello boards on screens everywhere. 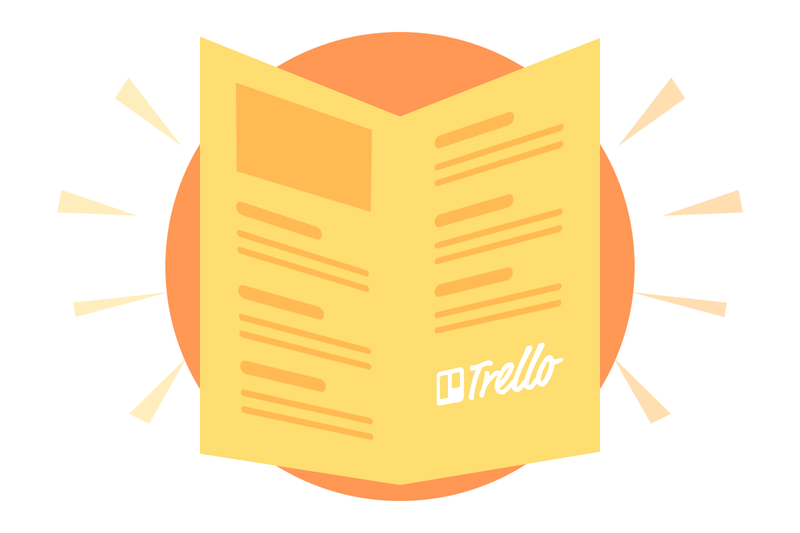 “I don’t know how we would do what we do without Trello,” he adds. That might sound like an exaggeration, but competitive numbers say otherwise. With the restaurant industry as a whole expected to top $780 billion in revenue this year via a million plus food service locations in the US, “doing” what BurgerFi does—growing a vibrant, forward-thinking (and delicious!) company—requires the power that comes from uniting each and every team member around the same growth goals.